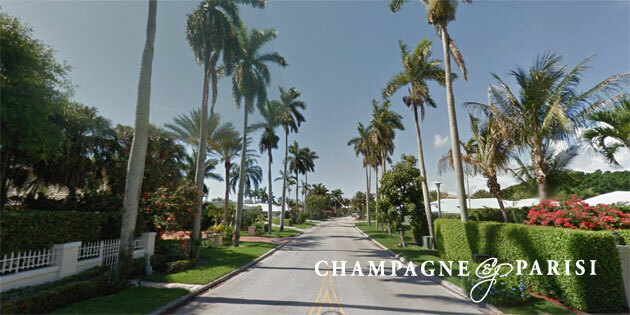 Ranked the #1 most expensive gated community in America by Forbes, the estate homes for sale in Royal Palm Yacht & Country Club are amongst some of the most impressive and luxurious residential compounds in all of South Florida. Royal Palm's estate homes feature waterfront, golf course, or garden views, private dockage, outdoor kitchens overlooking resort-style private swimming pools, 3+ car garages, and a multitude of additional high-end features custom to each estate. Royal Palm Yacht & Country Club, located on some of the finest real estate in all of South Florida, offers the creme de la creme of luxury living. It is a private, by invitation only, club in East Boca Raton, situated along the beautiful Intracoastal Waterway, adjacent to the world-renowned Boca Resort & Club. While membership is exclusive and new members are only considered after being nominated by two existing members, membership in Royal Palm Yacht & Country Club is not limited to residents of the community. The membership roster includes names from not only the South Florida area but also the international community. The gated entrances to this elite community are guard-manned 24 hours a day, however, the streets are public. If you are looking for a private gated waterfront community in Boca Raton, be sure to visit Boca Marina Yacht Club and The Sanctuary. This extravagant community is complete with world-class, exclusive amenities available. The amenities at Royal Palm Yacht & Country Club include a full-service on-site Marina & Yacht Club, a Jack Nicklaus Signature golf course, six Har-Tru clay tennis courts, two croquet courts, a fully-equipped fitness center, and several Five-Star dining options. The Royal Palm Yacht Club provides first-class service to its members, with a full-time dock master providing concierge services seven days a week to assist with all of the members' needs. The marina accommodates vessels up to 120 feet and features concrete boardwalks with hook-ups for phone, water, and electric. The club also holds traditional regattas and organized excursions for members. Additionally, Royal Palm's participation in The Florida Council of Yacht Clubs provides members with reciprocal privileges at 35 other yacht clubs throughout Florida. The Jack Nicklaus Signature championship golf course, which was completely redesigned in 2002, boasts aquatic plants, crystal lakes, and beautiful, lush greens. New dimensions of risk have been added to the course to create a more challenging game, with golf clinics and lessons offered on-site for members who wish to sharpen their skills. Royal Palm features six newly resurfaced, perfectly maintained Har-Tru clay tennis courts, four of which are lighted for evening play. Certified USPTA instructors are available to assist members seeking to improve their game, offering private and group lessons, clinics, and tournaments. Recognized by the United States Croquet Association as the 2005 Club of the Year, Royal Palm offers two championship croquet courts with a pavilion for spectators. Royal Palm features a 7,000 square foot 24-hour fitness center offering state-of-the-art equipment and impeccable services. A full staff of certified fitness professionals is available seven days a week to provide personal training and guidance to assist members in achieving their fitness goals. The fitness center also offers numerous group fitness classes including Aerobics, Yoga, Stretch, and Pilates. Within the fitness center is a fully stocked sports pro shop offering top-of-the-line fitness, tennis, boating, and resort wear. Additional amenities offered at the fitness center include licensed massage therapists and estheticians, steam rooms, and saunas. Royal Palm offers a variety of five-star dining options for its member and guests. The Golf Clubhouse is a great place to enjoy a casual lunch overlooking the 18th hole in the Palm Room or the Terrace. The 19th Hole and Halfway House offer quick, convenient lunch options for members on the go. Also within the Golf Clubhouse are The Nicklaus and Snead Room, where members can enjoy an intimate gourmet dining experience. At the Yacht Clubhouse, The Commodore Grille is the perfect place for an evening meal while enjoying the breathtaking views of the marina. For a less formal dining experience, members can visit The Royal Pub, which includes several televisions so members can enjoy watching their favorite sports team. The Main Dining Room hosts numerous events for members, including galas, fundraisers, and holiday parties. The Yacht Clubhouse also includes The Office, the perfect place to unwind after a long day of cruising on the yacht or a round of golf. Since 1959, Royal Palm Yacht & Country Club has offered a rich heritage and a deep sense of community to its elite members and residents. If you would like to learn more about Royal Palm Yacht & Country Club or any of the surrounding upscale waterfront communities in the area, contact us at 561-998-9015. You may also reach us by using our simple online contact form below. We look forward to assisting you in finding your next dream home!